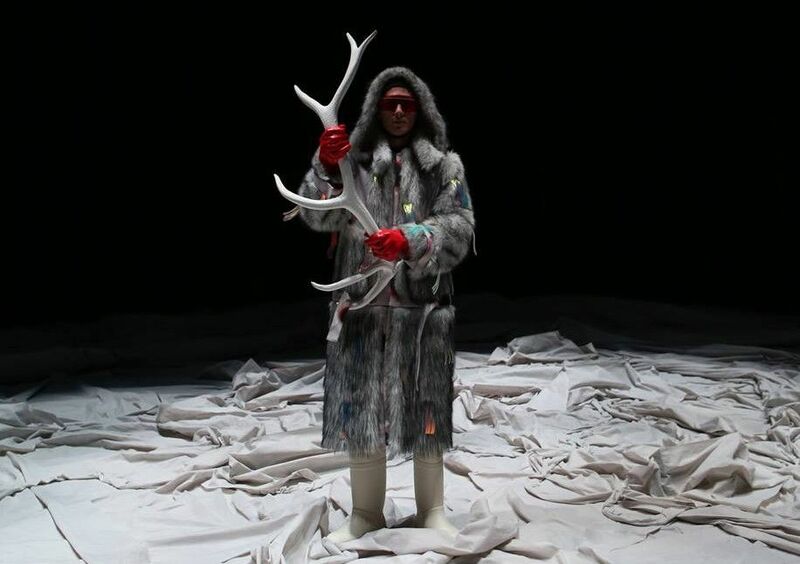 NEOARCTIC is an evocative, poetic, and alarming music performance on the Anthropocene – a new geologic epoch, defined by unprecedented human disturbance of the earth’s ecosystems. Humans have come to be a ‘force of nature’, causing rapid, often unintended changes to the Earth we inhabit. NEOARCTIC looks at the ruins and the risings of the modern industrial civilization. Ruins and extinctions, new life forms and new landscapes. Symbiotic relations in a modern world of complexity. A wave of making and unmaking is creating new possibilities. The dystopian and the utopian are fusing, and a new sense of amazement at the wonders of the earth is required. The processes, the structures and their forms as interplay are the subject matter of NEOARCTIC. Twelve outstanding singers are seen and heard on a large stage. Words are sung, whispered, shouted, spoken as rhythmic, repetitive, hammering soundscapes. Rhythmic music merges with experimental electronic music. Beautiful melodies appear and disappear. The stage is wrapped in white fabric, a canvas for light and colours, films and projections. A landscape in constant change. Costumes and props are a materialized part of the total composition. Light fills the space with tactile atmospheres and subtle shades of colour while the folded fabric creates sharp shadows.